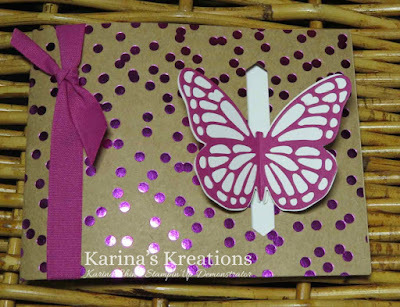 Karina's Kreations: Easy Pop Out Butterfly card using Batterfly Basics stamp set! 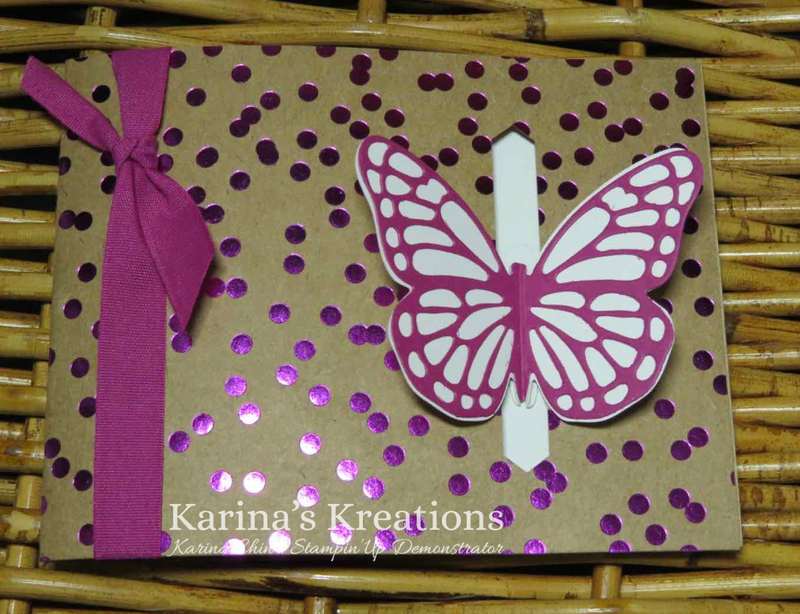 Easy Pop Out Butterfly card using Batterfly Basics stamp set! We are making this fun card at my Wednesday morning class March 7 or Monday evening March 11 class. This card is easy to make if you have the Bold Butterfly Framelits and Butterfly Thinlit Dies. This card was cased from Terri Gaines. I will post the instructions on Thursday. These are the supplies you need to make the card but I forgot the adhesive sheets #144106. These are a must have item.